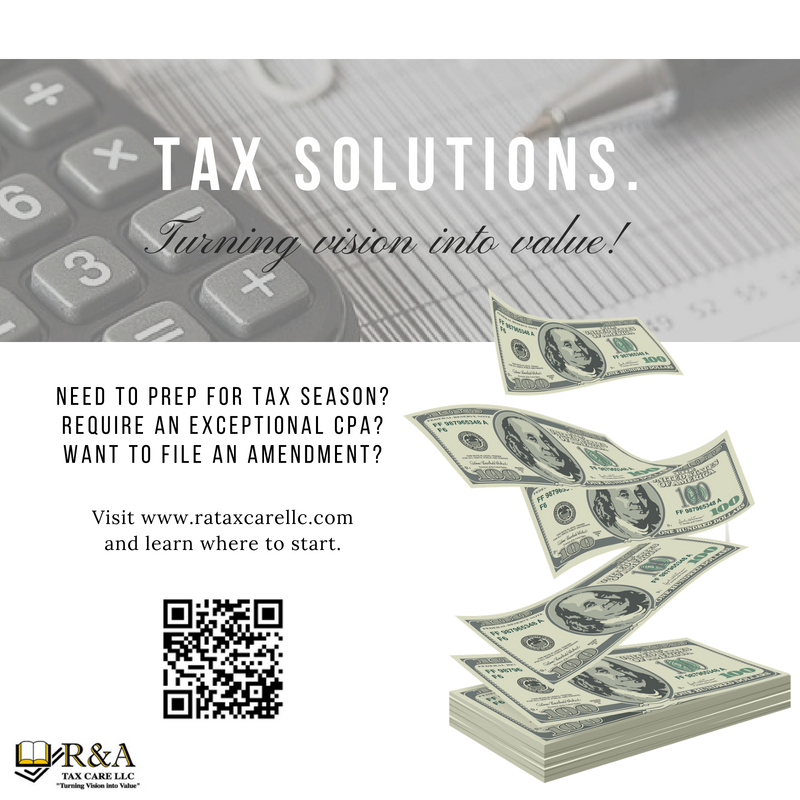 Contact Us - R&A Tax Care, LLC. Got a question about your upcoming tax filing? Need more information on small business tax? Setup a free consultation TODAY with one of our certified consultants!